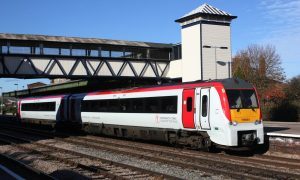 Trains along the North Wales Coast between Colwyn Bay and Rhyl are delayed due to a pedestrian being hit by a train. ⚠️ Due to a person being hit by a train between Colwyn Bay and Rhyl all lines are blocked. Train services running through these stations may be cancelled or delayed. Disruption is expected until 10:00 05/02.